Aquaculture in Bangladesh has expanded quickly over the last 10 years. Between 2006 and 2014, inland aquaculture production grew 12% each year on average (DoF, 2014). Now, Bangladesh is the world’s fifth-largest producer, accounting for just over 2% of global production (FAO, 2014). Aquaculture in Bangladesh has tremendous potential to improve incomes and boost nutrition for the poor (Ben at al, 2011). Fish farming can provide a way out of poverty and increase households’ access to fish – a healthy source of protein, vitamins and nutrients. Despite its growth and potential, two constraints limit the sector’s continued expansion: lack of quality seed and lack of technical knowhow. Quality seed is needed to produce a healthy and abundant fish crop. Although a good network of hatcheries and a reasonable supply of cheap seed has supported the expansion of aquaculture in Bangladesh, the quality of seed has been slowly deteriorating. This has resulted in low growth rates, high fish mortality, disease susceptibility and deformities. In addition to quality seed, farmers need to manage their farms in the right way to achieve the best results. Since 2011, WorldFish has been working to increase seed quality and improve producers’ on-farm practices through the USAID-funded Aquaculture for Income and Nutrition (AIN) project. 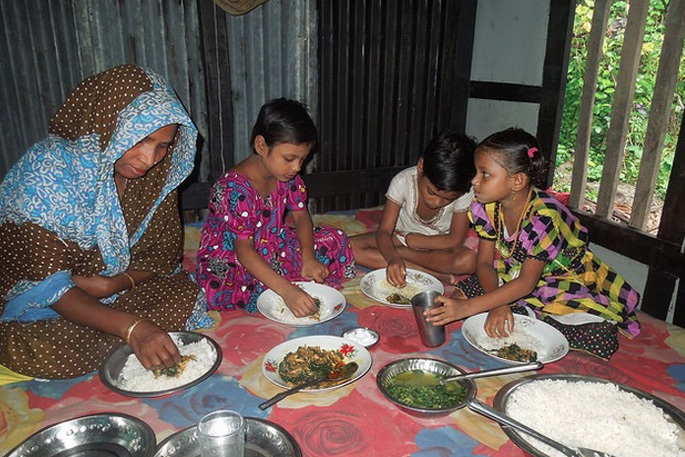 The study assessed how these efforts contribute to the productivity and profitability of homestead aquaculture systems in southwest Bangladesh. Four comparison groups were established in Khulna, Barisal, Jessore and Faridpur and surveyed in April 2013 about their 2012-13 production cycle. A key finding was that using improved carp seed and receiving better management practice training positively impacts a farmer’s production and profits. We also discovered that using improved seed alone, without technical advice, is unlikely to have a significant impact. Conversely, receiving training without using improved quality seed still has a positive impact on production and profits. The better management practice training given to farmers through AIN focused on improved aquaculture technologies, gender and nutrition. The training included sessions on pond preparation, stocking, identifying and using quality feed and fertilizer management, sampling and harvesting techniques. The training makes such a big difference because it gives farmers the knowledge and skills to be confident and successful. Other factors found to significantly influence homestead pond productivity were a farmer’s location, stocking density, pond water area and experience. These learnings provide valuable insights for current and future investments in aquaculture development. It’s not enough for aquaculture development interventions to only focus on the technical fixes such as improved seed. Rather, building farming capacity is key to maximizing the benefits of improved seed. Providing farmer training is already a key part of current and previous WorldFish projects in Egypt, Bangladesh, Malawi and the Philippines. To realize the potential of aquaculture in Bangladesh, there needs to be sufficient training for household farmers and easy access to good quality seed. This research proves that by investing in these activities we can make real and significant changes in the lives of fish farmers across the world.